Cingular Blackberry 8800 Web Site Up and Running | BlackBerry Blast! 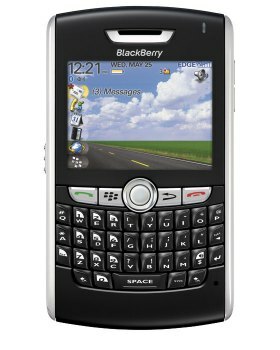 The Blackberry 8800 is due out very soon. In fact, the rumor is that the new Blackberry 8800 is due out on February 20 (next week). Cingular already has a web site up and running where you can signup to receive an official BB 8800 announcement. If you would like to receive an official announcement when the Blackberry 8800 makes its debut, simply give Cingular your email address and they'll notify you when the new device is launched. Check the full story link below for more details. "As the newest addition to the BlackBerry suite of products, the feature-rich BlackBerry 8800 combines a Cingular exclusive design with internal GPS, push-to-talk functionality and a rich media player. The highlights include new easy-to-use trackball navigation, a traditional full QWERTY keyboard and phone features like voice dialing, speakerphone and Bluetooth 2.0. With its advanced features and impressive performance, the BlackBerry 8800 is a must have!"